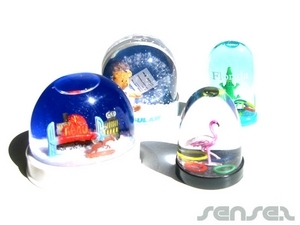 Nothing suitable in promotional snow globes & domes? How about custom branded winter items, logo printed corporate x-mas items or one of our promotional fast corporate gifts? You can have anything you like in our snowdomes, from photos to 3D designs, custom shapes. It's all up to you. 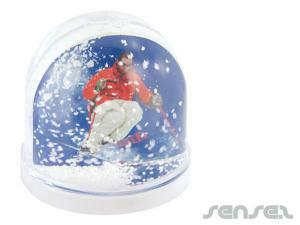 We have a large range of custom branded and printed promotional snow globes to fit any budget and need. Personalised and custom printed snow globes are classics and have been used for years for any souvenir gift give away. We have the traditional 3D shaped inserted snow domes where your 3D landscape can be custom made to be inserted into your snow globes. We will make the plastic molds for you and put it all together according to your design. 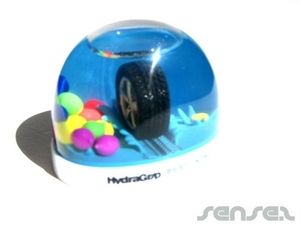 Advertising snow domes can come at different sizes and are also available as mini keyrings for a cheaper alternative. You can also choose whether you want snow or glitter, the type and colour of the glitter, and even the colour of the water inside your snow domes - the choices are endless. Our branded mid panel snow globes are a good and cheaper alternative to the 3D insert snow globes - with three brand able positions: custom print background, custom print mid panel and company name on base. For something a little different to the standard snow dome shape, try our retro snow domes and our cube shaped snow globes – they will surely stand out and make a fantastic corporate gift! 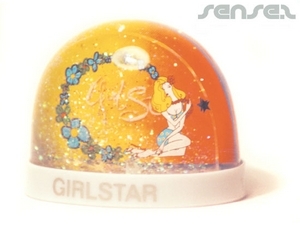 We also have snow dome shaped soap which is both aesthetically pleasing and functional. 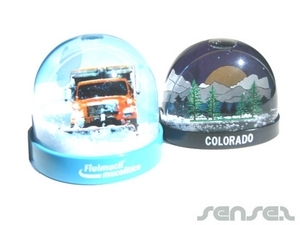 Other functional snow domes are the logo printed memo clip snow globes and the promotional pen holder snow globe which are perfect for the office and workplace. Customized snow globes are the ideal corporate and merchandise give away to promote and boost your brand awareness and brand loyalty. 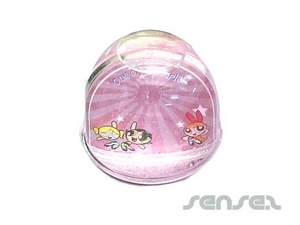 Give your brand amazing exposure with these wonderfully adorable promo snow globe gifts. For a cheap and fast turnaround snow globe product, you can't go wrong with our stock photo insert snow globes. These logo display snow domes are very popular logo products, so be quick and don't miss out on a remarkable marketing tool. 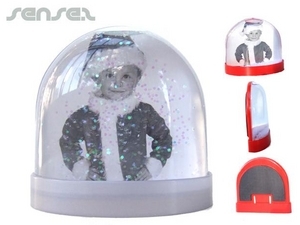 Cute and memorable office advertising items, these photo insert snow domes have a removable photo slot for your custom printed photo or branded insert. Photo insert snow globes come blank, and you can easily insert your artwork, photo or ad into the mid panel photo slot. Or on request we can insert the printed card for you from 500pcs – however lead time is around 6 weeks for inserted and printed cards. 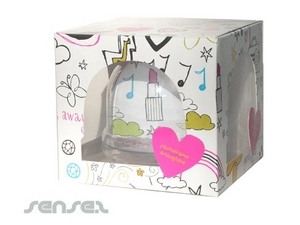 We hold the photo insert snow globes in stock, and you can insert the artwork yourself. 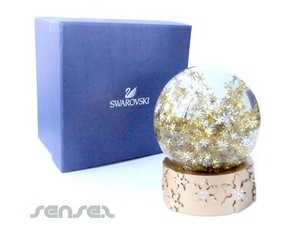 Photo insert snow globe are great for small quantity displays or any cute gift give away, smart business advertising products and perfect for weddings. If the photo insert snow globe is not for you and you want your brand to remain on the snow globe even if your client changes the photo insert, then you should try our photo insert snow globe with custom printed insert and custom printed acrylic divider mid panel. That way your branding remains when insert is changed by a photo. Our snow globe calendar is the perfect all year round promotional gift – with changeable dates below the snow dome globe, this unusual marketing product will be used every day to promote your business. 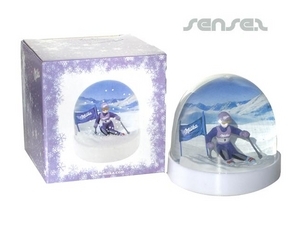 We also have snow globe boxes available, in clear and allover printed cardboard, for your custom branded snow dome.